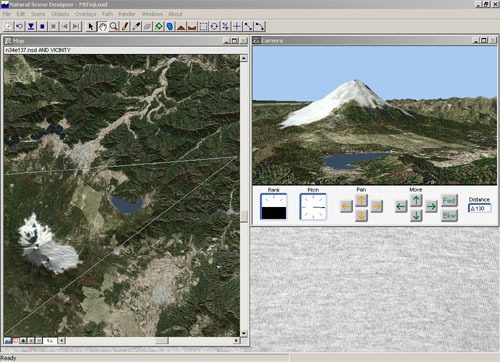 Natural Scene Designer makes it easy to drape satellite photos over terrain. After you drape the satellite photo over the terrain, you can interactively view it from any perspective. 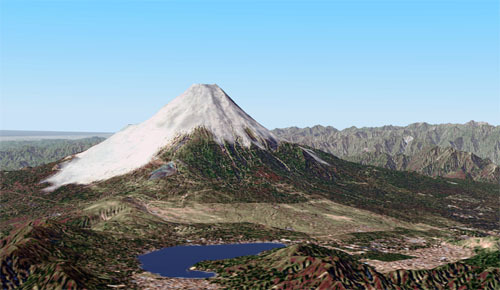 Once the view position is set, you can render a picture, fly-over animation, or a 360 degree panorama.